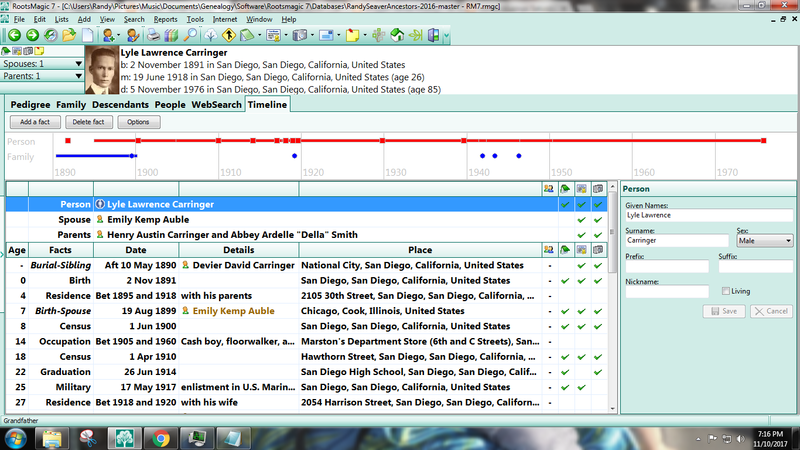 I chose to use the RootsMagic 7 genealogy software program, which has both a Timeline View and a Timeline Report. 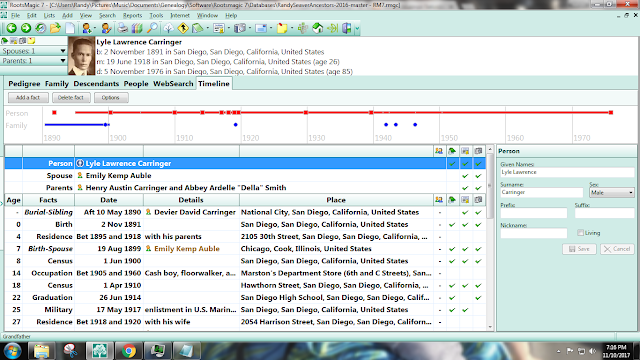 The second option to produce a Timeline is to use the Reports menu > "Lists" item > "Timeline (chronology)" item, and select "Individual Timeline list," select a person from the "Select others to include in timeline," select the person, and check the "Include place for each event" and click on "Generate Report." Note that the Timeline doesn't include events for other family members. I could use the "Group timeline list" and add events for parents, siblings, spouses and children to the list. That ran 11 pages. 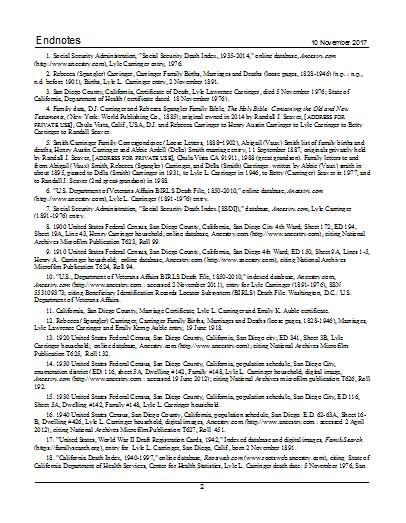 The "Timeline (chronology)" report is very plain - but it is very useful. 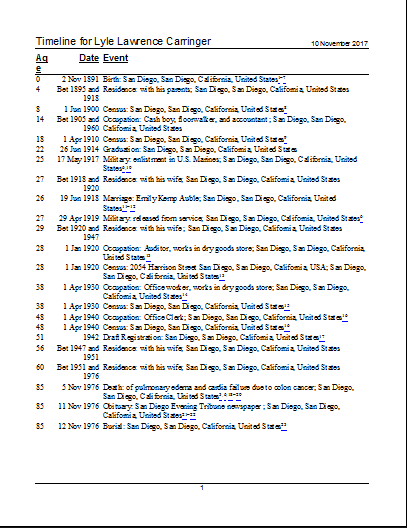 I would like to see a little more information about the relationships - for instance, identify the family persons as son, daughter, wife, father, mother, brother, sister, etc. I would also like to see this report formatted with some graphics and color so it would be more visual. Here's my timeline using Legacy. I use RootsMagic like Randy. I use Family Tree Maker.